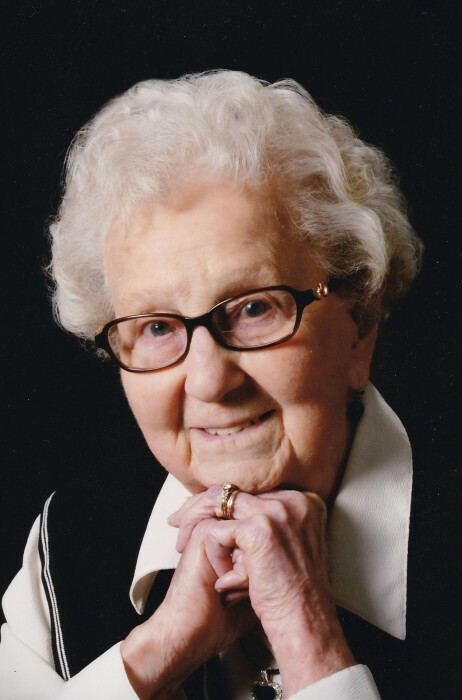 Lois Corrine Turner Szabrak 94, went home to the arms of Jesus and to those who she loved and went before her, on December 1, 2018. Lois, Mom, and Bobin as she was called by those who knew and loved her, was born April 4, 1924, in Lakewood, New York, to Walter Arthur Turner and Edna Mae Sturdevant Turner. She grew up in Jamestown and Lakewood, NY, with two siblings, Fredrick Walter Turner ( Mary) who preceded her in death and Bruce Jon Turner, who resides in Lakewood, NY. She graduated from Lakewood High School, Lakewood, NY, where she was a cheerleader and a member of Tri V Society and Sigma Delta Xi. Volunteering was very much a part of Lois’s life. She enjoyed helping with The Girl Scouts of America, and 28 years with Care and Share and Firelands Regional Medical Center Gift Shop in Sandusky, Ohio. She was a member of Lakewood United Methodist Church, Lakewood, NY, and Trinity United Methodist Church, Sandusky Ohio. After moving to Ohio in 1962 she worked for Sears and Roebucks Co. for 15 years. The last seven years of her life where spent making fond friendships, doing puzzles, making cards on her computer and decorating her beautiful apartment at Parkview Community, Sandusky Ohio. Lois’s passion was her home, children and grandchildren. She was blessed with five children, Donna (Thomas) Johnson of Jamestown, NY, Nancy (Eugene) Cavalier of Belle Vernon, PA, Vicki Kinney of Sandusky, Ohio, Kim (David) Hook of Portage MI, and Todd (MaryJane) Anderson of Berlin Hgts., Oh. On June 24, 1978, When she married Robert Szabrak, who preceded her in death, her loving heart gained her “second” family with children, Susan (Ed) Zetzer of Sandusky, Oh, and Kathryn (Walter) Helman of Dayton, OH. She is survived by nineteen grandchildren, Lynn Goering, Mark (Dara) Johnson, Scott (Laura) Johnson, Amy Johnson, Robin (Marc) Chiste, Kristy (Aaron) Ochs, Melissa ( Michael) Leimeister, Nathan (Jessie) Kinney, Jeremy Hook, Christopher Hook, Eric (Amanda) Hook, Adrienne ( Santiago) Berdichevski, Rachael (Greg) Kaufman, Kurt Anderson, Erica (fiance', Brenden Douglass) Anderson, Natalie Anderson, Scott (Nicole) Marksbury, Patrick (Jennifer) Helman and Erin (Scott) Abbott. Her great grandchildren, included Cassidy and Jared Goering, Gavin, Kyle and Aiden Johnson, Madison and Maggie Johnson, Tyler Chiste, Allegra, Avery and Aidan Ochs, Abby, Emma and Sara Leimiester, Mason and Logan Hook, Alex Berdichevski, Zander, Xavier and Quinn Kaufman, Kody, and Kolton Marksbury, Dalton Johnson and Madelyn, Scott, Nathan and Katelyn Abbott. Besides her parents and husband, Lois was also preceded in death by son-in-laws, Roger Kinney and Eugene Cavalier, granddaughter Pamela Marksbury and great granddaughter Elizabeth Zetzer. We would be honored to have you join us to celebrate her life on Tuesday, December 4, 2018, at Trinity United Methodist Church, 214 East Jefferson Street, Sandusky, Ohio, viewing 10:00 am followed by service at 11:00 am by Rev. Donald Kuntz. The family suggests contributions may be made in her memory to Trinity United Methodist Church, 214 E. Jefferson Street, Sandusky, Ohio, or to Stein Hospice, 1200 Sycamore Line, Sandusky, Ohio. Arrangements are entrusted to the David F. Koch Funeral and Cremation Services, 520 Columbus Ave Sandusky, Ohio. Lois will be cremated and interred at Sunset Hill Cemetery, Lakewood, NY at a later time. Memories and words of comfort may be shared with Lois’s family at davidkoch.com.